In talking with our hospital customers, case mix index (CMI) often comes up as a source of confusion and misunderstanding by clinical staff. CMI is widely tracked by employees on the financial side of the hospital, but not monitored nearly as closely on the clinical side, so its impact is widely misunderstood. 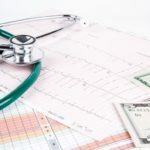 CMI is an important performance indicator for your hospital not because it tells a big story in and of itself, but because of how it impacts your hospital’s finances. “…the CMI is a good tool to compare area hospital performance at a similar acuity level for medical and surgical care. We know a comparable facility with a much lower CMI can be a direct reflection on missed documentation and lower acuity weighted diagnostic codes. CDI [clinical documentation improvement] intervention then consists of a provider education plan to improve documentation and capture the severity. Pre-billed audits ensure the acuity is also captured in final coding. Both are standard elements of the CDI process and program interventions. As the article states, a hospital’s CMI is only as good as its clinical documentation. So two hospitals having the exact same caseloads can have very different CMIs – and reimbursement rates – if one hospital documents its cases more poorly than the other. That’s why CFOs and other financial employees at hospitals work hard to drive up their hospital’s CMI. Any missed opportunity to increase a case’s severity level is a missed opportunity for revenue not only in that procedure, but across the entire hospital, because each individual case affects the hospital’s CMI. This is why it’s so important to document exactly what happens in each case accurately and to go to all lengths (within reason) to boost each procedure’s severity level. One critical component of documentation in a hospital’s surgical areas is the detail surrounding medical devices used in each case. If a simple medical device goes undocumented, it can jeopardize that procedure’s severity, and can also jeopardize the entire hospital’s CMI and reimbursement rate down the line. Clinical documentation systems like iRISupply from Mobile Aspects allow hospitals to maximize their billings for each procedure and ensure their CMI is as high as possible.